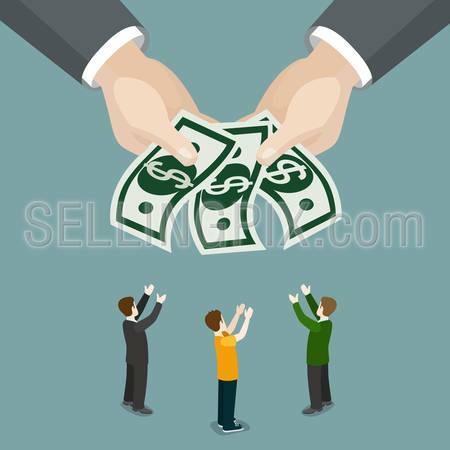 Charity alms welfare beneficence salary wages business isometry concept flat 3d isometry isometric web infographics vector illustration. Big hands money micro businessmen. Creative people collection.